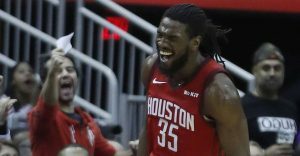 Kenneth Faried has come out of obscurity, buried deep on the Nets bench, and has exploded onto the court for the Rockets and savvy fantasy GMs in less than a week. He keeps showing up and putting up big numbers. Not only has he immediately provided his normal points and boards with high efficiency, but he has suddenly added steals and blocks. He even hit a 3! The free throw shooting is still horrific, but the diverse offering he’s served up so far have been great. This was his best scoring and rebounding performance yet. He was all over the court in this one and made his presence known. While he’s been an incredibly fun story this week, this has sell high written all over it. With Clint Capela returning in a few weeks, there probably won’t be a better time to gauge his value than immediately after a big performance in a nationally televised game. Otherwise, just sit back and enjoy all the fun of rostering a player called the Manimal. Now we are just past the halfway mark of the season and into the annual fun that masquerades as the trade deadline. Teams are either hoping to find the one additional piece to move them into championship contention, ensure that playoff slot which has eluded the home fans for several seasons, or offload some contracts to save a few bucks and better the future. The interesting thing is figuring out who the sellers and buyers are. More intriguing for us fantasy hoop heads is how it affects/changes/improves/negates the numbers of current players and what kind of new opportunities can now be found for players in new situations. We will take a look at the Eastern Conference first – identify some trade targets and discuss what that might mean. Then we will do the same with the West. Last year, I mentioned that I was a big baseball card collector as a kid, having been the perfect age when that really became a big thing. I was fortunate to have a group of friends who loved to trade cards and a dad that would take me to baseball card shows to build my collection. I had chosen Ken Griffey Jr. early on as my favorite player, so fortunately, I was on the lookout mainly for his cards. If I can ever decide to part with them, at least I have hundreds of cards featuring a Hall of Famer. The same cannot be said, however, for my brief foray into the world of basketball card collecting. I decided to complete a small set of the 1993 NBA Draft first-rounders. And from this group, like when I picked Griffey as my favorite player when he was a rookie, I chose an exciting young player to focus on. 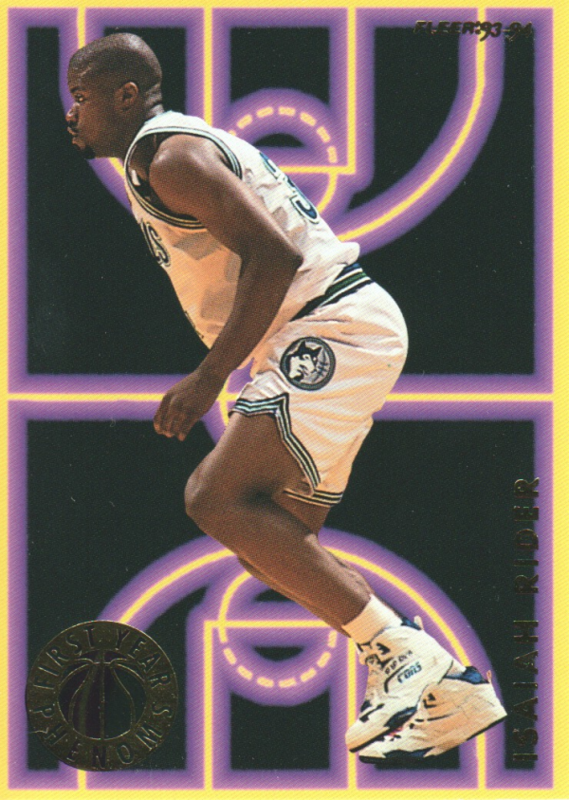 The decision to collect Isaiah “J.R.” Rider cards for a few months did not return the same joy and imaginary wealth, unfortunately. But it certainly was easy to trade for his cards! Speaking of trading, as I write this, the trade deadline, one of my favorite days of the year, is only 15 days away. Now, after a trade goes down that day, do you want to be one of the people rushing to your app, hoping you’re the first to see if the guy that’s getting a huge bump in minutes and usage is still available? Or, do you want to be the one that they all curse when they find out you picked him up a week earlier? Obviously, we can’t stash all the players that could be in line for a big increase in fantasy value, but today I’m going to try to identify a handful of players to either stash now or to keep an eye on, depending on your league size, as the trade rumors continue to come out. And with that list, I’ll provide their per-36 minute stats. No, most won’t get that many minutes even if they are the beneficiaries of a deadline deal, but it’ll at least give you an idea of what they could do with an increase in minutes… plus, it’s fun. Tonight was clearly defined by the insane performances by some of the leagues best big men. Crazy points, boards, and stocks were being earned all night long. Joel Embiid beat up on Charlotte’s inferior front line, driving to the bucket, getting insane put-back dunks, and swatting shots into oblivion. One of the best examples of his diverse skillset showed him bring the ball up across half court and then orchestrate a perfect give-and-go that led to an Embiid statement dunk. To top things off, he showed his range by hitting the tying 3-point shot near the end of regulation. He’s just ridiculous. This was an MVP performance from the big man. He must have been shaken by that Sabonis dunk last night, as he came out and crushed. How many other big men can hit 19/22 free throws in practice, let alone in a tightly contested game? The boards were huge, as were the blocks. He’s really starting to heat up, so ride him if you got him. In Latin, Anno Domini means “in the year of the Lord.” Any coincidence that Anthony Davis is the fantasy lord? I think not. 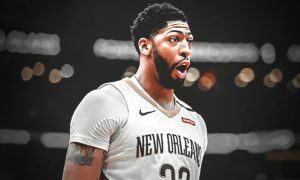 AD was the consensus overall number one pick coming into the season, and for good reason. He hammer times and moon walks over the competition by literally doing everything. For the infidels who blasphemously inserted another player on the throne, take a look at last nights line and ponder your unfulfilling existence. This wasn’t no “Devin Booker score 70 points in a double digit loss” line. This was a “let’s beatdown the Houston Rockets by 19 points” line. Bend the knee. Each NBA franchise participated in a handful of exhibition games designed to determine who will receive meaningful minutes when the games count, see which rookies have the moxie to handle the men they are trying to steal jobs from, figure out which two-way players will be relegated to the G-league, and ascertain whether preseason really deserves a hyphen or not. Coaches agonize over different rotations, who can play with who, what offensive sets might work, who is smart enough to make defensive decisions in the wink of an eye, and whose agent was lying when he said their player had been putting up 3,000 three pointers a day in an effort to improve their range. All this is done while those same coaches secretly plead in their inside brain, “Please God, don’t let anybody get hurt, sleep with another player’s girlfriend, or be swayed by their buddy from the 4th grade to think that they truly deserve 15 shots per game.” All of those could significantly change rotation plans, kill that elusive team chemistry, or generally cause chaos. At long last, the new NBA season is upon us! You’ve finally learned your Adebayos from your Anunobys from your Anigbogus. Now, let’s get our Miltons, Meltons, Okobos, and Okogies straight. The Charlotte Michael-Hyphens (Kidd-Gilchrist and Carter-Williams) and the Miami Derrick Juniors (Jones and Walton) broke up, but I think all three NBA Reggies are still on the Pistons, at least. It’s going to be a great season. We’ll start playing more with numbers next week in this column. But for now, let’s talk drafting! Fantasy drafts are the best. Snake, auction, slow, in-person. Whatever the format, I’m in. You’re likely a grizzled veteran of fantasy hoops drafts at this point as well, if you’re part of Razzball Nation. But whether you are or not, I’m hoping I can give you a couple advantages you may not have thought of yet. Or maybe, with all the aspects of a draft to consider, something I mention will be a helpful reminder when you’re frantically scrolling through late round players that all look terrible. Last year, I went pretty in-depth with a two-part draft strategy series (Part 1, Part 2). Some of the names may have changed, but it holds up pretty well (thank goodness I said something positive about Donovan Mitchell). This year, I’ll try to keep it a bit more brief, but no promises. With the season a week away, and drafts in full swing, now is the perfect time to dig deep for those late round fliers. Once you get past round 9, I believe the best strategy is to pick players who may pop in a moments notice. Whether they are in a new scheme, new location, getting more minutes or just primed for a breakout, there are potential underrated stars to be had on every team. I will go team by team in each conference and highlight a player who can be had for cheap and can make an impact sooner rather than later. October is upon us and that is a wonderful thing. The leaves turn beauteous colors while the weather provides crisp breezes. Both adults and kids get to dress up. Kids to beg for huge bags of candy. Adults to fantasize and act silly. There is even a holiday when some folks get to stay home from work to celebrate the “discovery” of America by Christopher Columbus! But the real greatness of October lies in the fact that it is the month where our sports converge together like women for the 70% off sale at Nordstroms. College football, which if you haven’t heard, is its own religion in the South, and the NFL are into their second month. The guys in the US and Canada start wielding sticks and slapping pucks around, as the NHL season begins. Our national pastime breaks into its glorious playoff season. 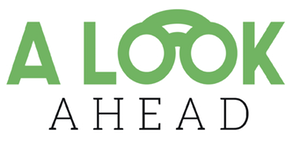 But for fantasy hoopheads, the most important thing that happens is the NBA season kicks off in earnest. It is almost here. We have just a few days until October 16, and there are mock drafts, real drafts, online drafts, auction drafts, snake drafts, and dynasty drafts scheduled over the next two weeks in every hamlet in this fair country. On September 28th, we saw Gordon Hayward in the Boston Green to kick off the preseason. Each team will play five games that don’t count in preparation for those that do. What then to watch for to help you hoodwink all your buddies and have the best draft imaginable? I will look Division by Division to give you some keys to watch that might provide some guidance. Heading into the offseason, it was clear that the Magic were in desperate need of a playmaker. As a result, many draft analysts, myself included, were anticipating that the Magic were going to select Trae Young with the 6th overall pick in the draft. The unexpected happened instead, as the Mavericks traded up to select Luka Doncic while the Hawks selected Trae Young at number five, leaving the Magic with the decision to take the best player available on their board or select based on need, which would have been one of the point guards in Collin Sexton or Shai Gilgeous-Alexander. The Magic chose the former, but in doing so left a big hole at the point guard position and added to a crowded front-court that already consisted of arguably their three most talented players in Nikola Vucevic, Aaron Gordon, and potential breakout star Jonathan Isaac, the 5th overall pick in 2017. Common sense suggests that it is likely that the Magic will explore the trade market throughout the season, potentially dangling Vucevic to address the need at point guard. Without strengthening the back court and given the inexperienced level of the team, another season missing the playoffs in the desecrated East division seems likely.